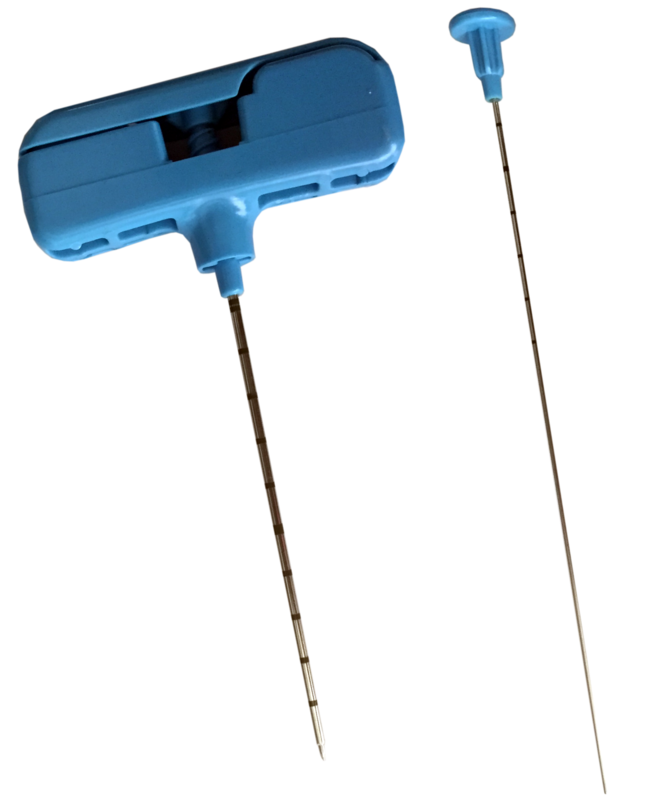 Jamshidi bone marrow biopsy needle designed following classical and reliable features, in order to perform bone marrow biopsy and bone marrow transplant in the iliac crest. Ergonomic handle- EASY FOR HANDLING . Luer Lock connection for syringe – PROVIDES MORE SAFETY. Remover guide provided with indicators to facilitate the sample expulsion and that allows sample’s lenght check. Provided with a special cap for a safe removal of the sample. Sterilized by ETO, shelf life 5 years.